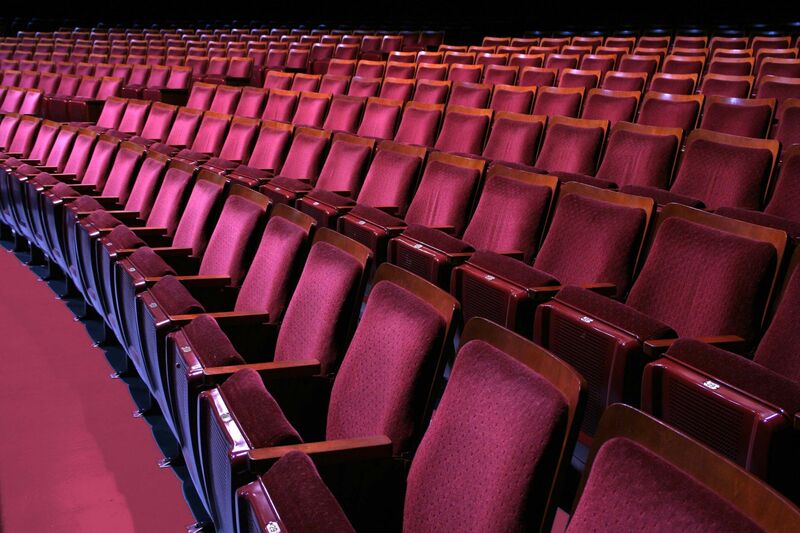 We’re not just selling performances or exhibitions, but immersive, cultural experiences that drive audiences to become loyal patrons who evangelize on our behalf. Video is a medium that helps us convey these unforgettable moments, both to new and existing audiences, in a powerful way. But that doesn’t mean that every video has to be a Hollywood blockbuster. Time, resources, and budget are all factors at play. So, how can you achieve your video #goals, while still being realistic about these factors? Take a page out of the Museum of Fine Arts Houston’s (The MFAH) book and turn your static assets into dynamic video content. The MFAH is a multifaceted institution comprising of two gallery buildings, a sculpture garden, two art schools, and two house museums for decorative arts. We’ve been working with The MFAH for four years on their digital strategy. 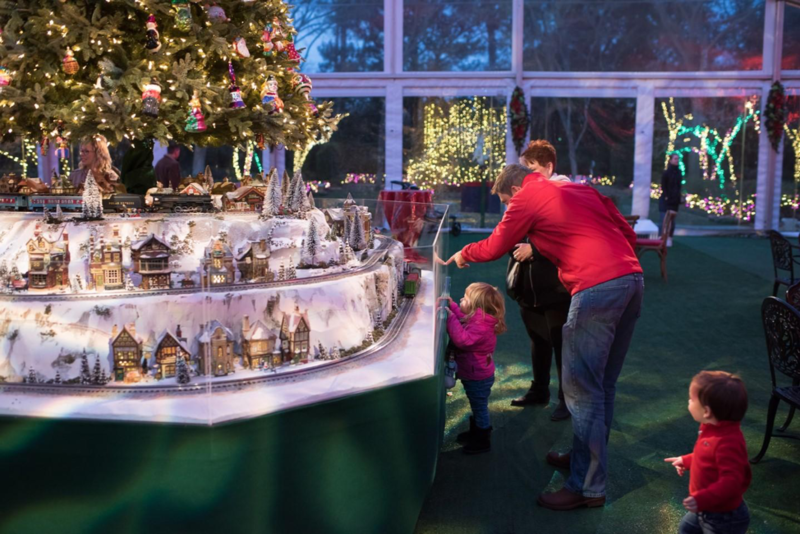 In addition to their exhibitions and collections, they have an immersive holiday experience at the Bayou Bend Collection and Gardens called Christmas Village. 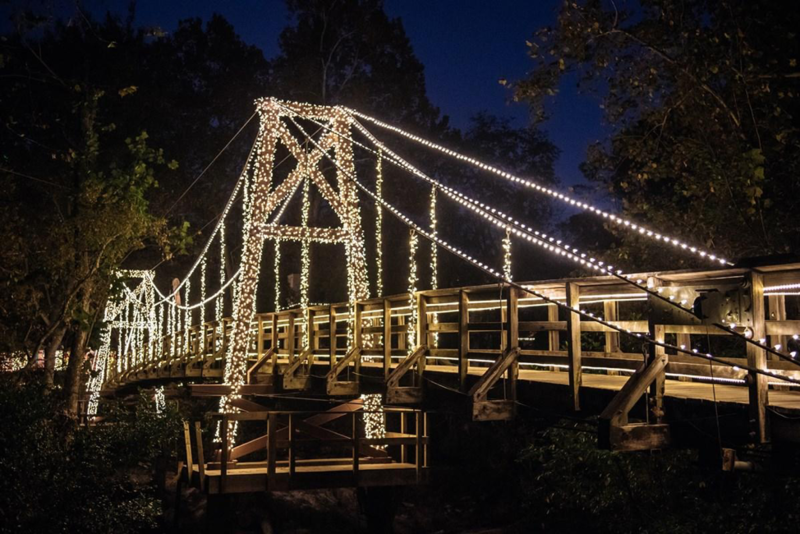 A dazzling bridge brings you into a winter wonderland featuring thousands of lights and activities throughout a 14-acre estate. We’ve worked with them annually to drive ticket sales for this holiday experience. Precise targeting, adding Instagram to the digital marketing mix, and increasing video and slideshow content helped us raise the bar for the 2018 campaigns. The campaigns launched on Facebook and Instagram right after Thanksgiving. The primary goals of the campaigns were to drive ticket sales and to bring new audiences into The MFAH’s world with a combination of strong video and slideshow content. We focused on targeting acquisition audiences, such as a Lookalike audience based off of previous Christmas Village buyers (which was one of the benefits of running consecutive annual campaigns), as well as Christmas and holidays Interest segments in the Houston area. We also helped The MFAH “shop in their own closet” by remarketing to Christmas Village landing page audiences, related-event responders and video viewers on Facebook, CRM lists, and add to cart lists. With such a competitive holiday timeframe, The MFAH certainly didn’t want to be the regifted fruitcake in a holiday Newsfeed. Their static assets for Christmas Village were absolutely stunning, and since Facebook’s algorithm favors native video, we encouraged them to create slideshows on Facebook and Instagram to increase their video content. 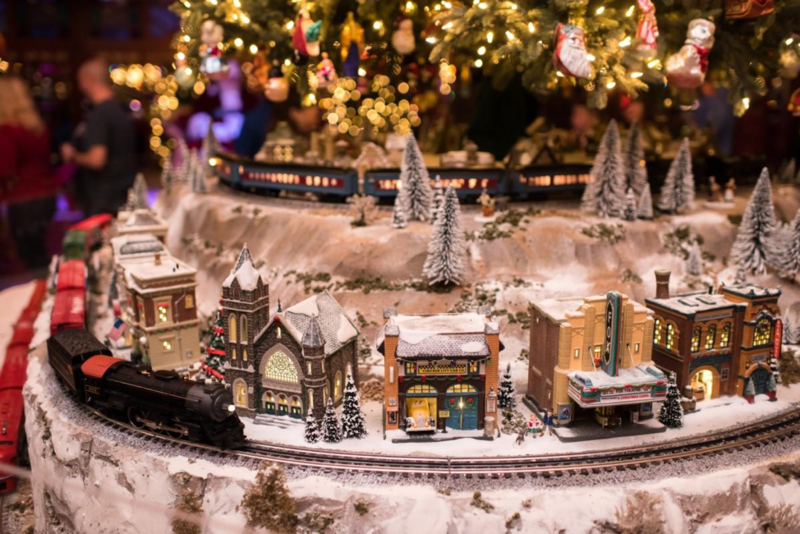 Christmas Village is chock-full of activities including sledding down a faux-snow slide, tossing cotton snowballs, scavenger hunts, make your own holiday tunes at music-bell stations, and so much more. With all of these activities, it was important for The MFAH to show, instead of tell people how much fun they could have with their friends and family. One of our learnings from the 2017 campaign included an increased emphasis on experiential messaging and content. We wanted to amp up video content without amping up their time, budget, and resources. Enter Facebook and Instagram slideshow ads. Slideshow ads allow you to maximize the static assets you already have and transform them into quick and affordable videos. 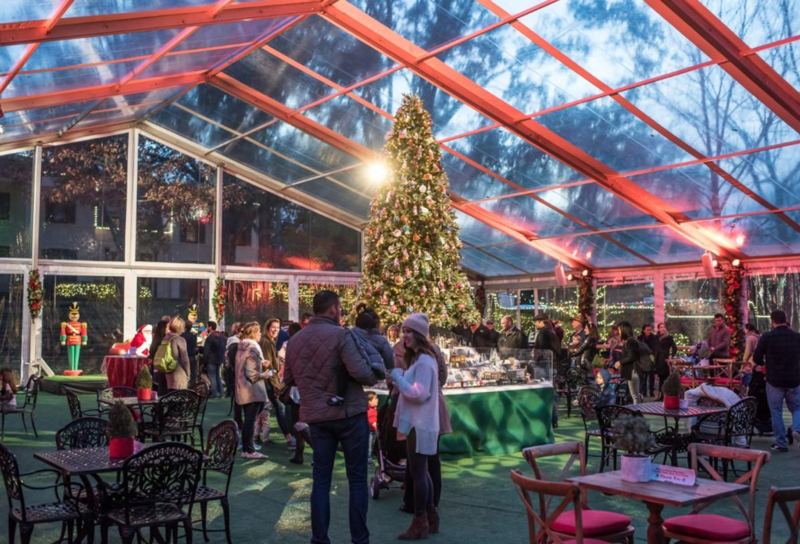 The MFAH’s Christmas Village photo assets showcased some of the event’s best features, while simultaneously showcasing the benefits of attending. Put them all together and you have an engaging experience that captivates users and takes them from their everyday lives to this real-life winter wonderland. The MFAH did strategically invest in two videos, and did a great job of taking the powerful narrative in the video and translating it throughout the slideshow ads. With a total investment that was almost 15% smaller than 2017’s investment, the 2018 Christmas Village campaigns influenced over 95% more purchases and over 20% more revenue at an almost 60% smaller cost per acquisition (CPA). Facebook related-event responders drove the highest KPV rate and the second lowest cost per KPV of the campaign. It was wonderful to see that people who engaged with The MFAH’s previous Facebook events continued to be qualified audiences for event-focused campaigns. Similar to Facebook, the composite audience of engaged Instagram users and video viewers drove the lowest cost per KPV of the campaign. The MFAH’s pool of engaged Instagram users grew by 30,000 during this time period. Past-buyer Lookalikes drove the second-most KPVs and the third-lowest cost per KPV, which reinforces how powerful Instagram can be as an acquisition tool. Additionally, fifteen out of sixteen posts included in this Facebook and Instagram campaign were videos or slideshow ads which helped elevate The MFAH’s content game without elevating their content creation time and anxiety. This is compared to the 2017 campaign which only had one video post. Ready to turn some of your static assets into slideshows? Here are some tips to help you go from static to dynamic. ✓Get someone’s attention. The first few seconds are critical. Get right into the action and leave logos or static text for the end. ✓Tell a compelling story. Choose the best photos you have to build powerful story arcs and narratives that will keep short attention spans interested. ✓Create an immersive experience. People want to see themselves in social posts. Create slideshows that are experiential and beg the user to tap/click to be part of it. ✓Be sure your specs are correct. Check out our Social Media Ad Dimensions guide to help you build a solid slideshow from a specs perspective.